It’s what every team manager dreams of: a generous sponsor, a big budget, top cars and someone the press can call the world’s best driver. Today it’s the standard objective. 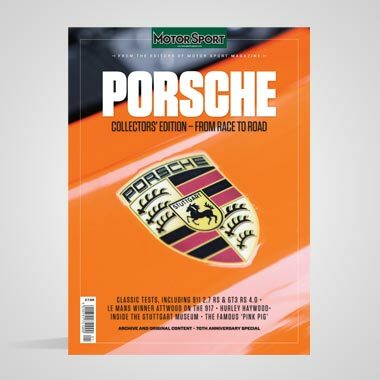 Fifty years ago, when sponsorship meant little more than free tyres and oil, it seemed – to the teams who weren’t getting the deal – like not playing the game. But this hoisted the flag of the modern era, and that flag was pale green. The British Racing Partnership was that fortunate outﬁt, at a time when you could buy a Grand Prix car in (almost) factory spec and employ the best driver who was free that weekend – if you had a decent reputation. And BRP did. 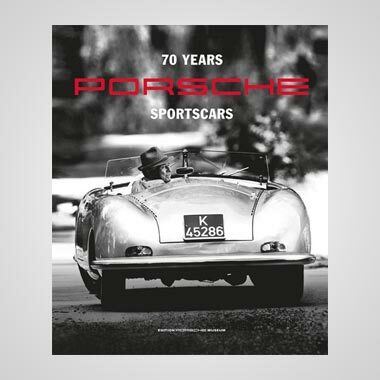 After all, the Boy Wonder was part of it: Stirling Moss, his father Alfred and his manager Ken Gregory were the principals, with respected engineer Tony Robinson heading a top-line crew. Racing in a distinctive livery – Meadow Green, Alfred’s choice – BRP from time to time boasted impressive pilots. 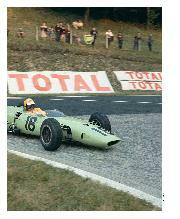 Graham Hill, Tony Brooks, Dan Gurney, Denny Hulme and Phil Hill all sat in BRP cars when Stirling was busy elsewhere. And the business made proﬁts. In an era when race organisers paid start as well as prize money, you were quids in if you could bring a big name to the grid. As a privateer team you had ﬁrst to buy cars, which is where BRP made its big splash. At the time there simply were no complete team sponsors, until BRP announced that a motor ﬁnance company called Yeoman Credit would cover all its expenses for 1960. “They approached us,” says Ken Gregory, the man who made it work. “My friend Peter Pilsworth from Yeoman asked if we would allow them to sponsor the team.” Yeoman was a small concern but saw the press coverage racing received as a rapid publicity route. Ken knew Yeoman’s Samengo-Turner brothers through his repair company Express Coachcraft, based in Lots Road, Chelsea – a link which would both smooth the courtship and trigger the divorce. “They asked for a proposal and I aimed high,” says Ken. His negotiating skills had already made Moss the biggest-earning driver, with proﬁtable supplier contracts, so pitching £40,000 for cars and £20,000 for costs was typically bold. Yeoman accepted, as long as they kept any entrants’ trophies. BRP, though, would retain prizes and bonuses. And no name appeared on the cars – entry lists and adverts would be the sole exposure. 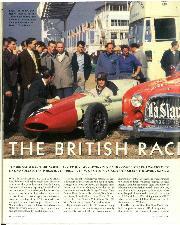 It was also a quirky decision: the Samengo-Turners could have funded Lotus, Cooper or BRM, but BRP had brought good results for Stuart Lewis-Evans in 1958, while Moss himself had chosen to drive a BRM P25 in ’59 - as long as BRP prepared it, not its makers. Belying their Italian descent, the brothers took the British line, favouring the bold outsider. Bad luck hardly describes the toll of drivers at this time, and BRP had been hard hit in its ﬁrst two seasons. Formed late in 1957 when Gregory and Alfred Moss decided it would be fun to run their own team, BRP started out with an F2 Cooper T45-Climax crewed by punchy Welshman Lewis-Evans. Back then drivers and cars constantly crossed formula and team boundaries, Evans impressing in F2 races for the new team while also driving Vanwalls in Grands Prix. After Moss won the ’58 Argentine GP in effectively a bored-out F2 Cooper (a deal arranged with Rob Walker’s team by Gregory – more border crossing), it seemed that BRP had the right car. 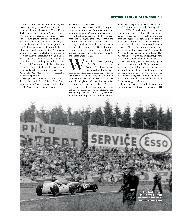 And it was making money – until Lewis-Evans’s ﬁery death at Casablanca in a Vanwall. 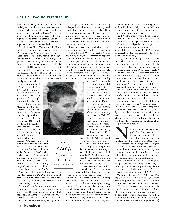 Coming after the death of Peter Collins, whom Gregory also managed, it was a hammer blow. BRP had also gone a brave route over its F2 engine, an exotic 16-valve twin-cam four from Borgward. “Lovely little engine,” says Robinson. Not that having double Le Mans winner and Connaught pilot Ivor Bueb aboard hurt either, while BRP’s other signing was the wild but promising Chris Bristow. The expanding team was on the edge of a full GP campaign, and the Samengo-Turners were watching. No one could see the two terrible blows coming. However, Robinson had now fitted a 2.5 Climax to one Cooper, and Bristow, rallying after losing his friend Ivor, came third in the Formula 1 Oulton Park Gold Cup. Grands Prix beckoned, and so did Yeoman Credit. 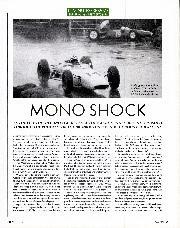 But in May came a test of that enthusiasm: in wet practice for the International Trophy at Silverstone Schell aquaplaned off and overturned. He died instantly. 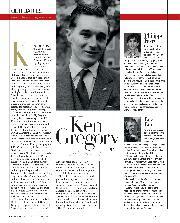 Ken Gregory, shaken by having to identify the body, still had responsibilities and brought in F2 star Henry Taylor. Surprisingly, the large Yeoman budget now grew even larger as the brothers offered extra cash to tempt Tony Brooks on board as well. 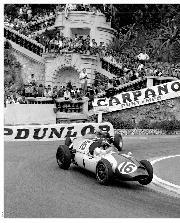 Rated then and now as one of the great drivers, the ex-Vanwall and Ferrari pilot made this British triple a coup, and his fourth place at Monaco seemed a rebuff to fate. Then came Spa, a roller-coaster metaphor for the team’s fortunes. First the seemingly inviolable Moss had a huge crash due to suspension failure on his Walker Lotus, breaking legs and back; then Bristow failed to appear. He had died instantly when the Cooper left the road at Burnenville for unexplained reasons (though Gregory says “I suspect Willy Mairesse did a Schumacher while passing him”). Five laps later another rising Lotus star Alan Stacey also died. That Olivier Gendebien, standing in for Taylor, turned in a ﬁne third for BRP barely registered as Gregory glumly packed up Bristow’s effects. Worse things were happening at Lots Road. A director of Express Coachworks had been diverting funds, from Yeoman Credit among others, and as proprietor Ken Gregory, while unaware, had the ultimate responsibility. As 1960 closed a court case loomed, and plainly BRP had lost its backer who now switched to Reg Parnell’s team. Having lost two drivers and friends, seen his golden boy Moss end up in hospital, and undergoing a divorce as well, Gregory might have shut up shop; instead he kept his foot down, went straight to Yeoman’s chief rival and asked them for the same deal. They agreed. “I knew UDT’s Bob Gibson-Jarvie through Laystall [the engineering ﬁrm UDT owned] and he was brave enough to say yes to me and argue it with the board later,” says Gregory. 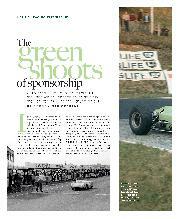 Suddenly there were two sponsored teams in Formula 1. There were no shock GP wins for BRP in 1961, but there was a lot of start money and just about every time Stirling got in the 19 he brought home the laurels. They even ran the Elite at Le Mans ﬁtted with a 750cc Climax, leading the Index of Performance until the oil pump broke. Pleased with the enterprise, UDT-Laystall also backed the purchase of the top-rank GT car – a Ferrari GTO (see p40). But the Glover Trophy, Goodwood’s non-championship season opener, would disrupt everything. The catastrophic accident which ended Stirling Moss’s career would bring UDT-Laystall the worst type of publicity and shake both teams to their roots. 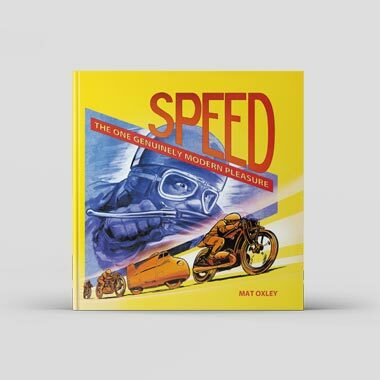 Gregory in particular was trying to deal with Moss’s affairs as he lay in hospital, as well as run a team and cope with hundreds of letters to the injured driver. 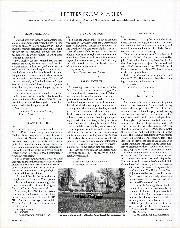 There was also his new magazine publishing enterprise and the start of his air taxi service. The single blessing was that the High Court had decided he was liable for only a small part of the Express Coachworks default. “I was almost out of my mind with stress and worry,” he says, “and I developed ulcers.” Yet a week after the crash UDT cars raced at Aintree, and in May the promised works Ferrari appeared in the International Trophy; that it carried a tartan stripe and had Ireland aboard was something of a tribute to the team from Maranello, as opposed to the slap in the face from Lotus. Once the privateers had their 24s, Chapman revealed one of the great leaps forward in racing – the monocoque 25. And sorry, but you couldn’t buy one. The special relationship was over. So also was the fiscal one; while UDT was content with its exposure, Laystall felt it was time to realise its mechanical assets. There would be no further sponsorship for 1963. By now a recovering Stirling was getting involved in business affairs and was not very interested in BRP. His father too would have been happy to close it and divide the assets. Remarkably, BRP’s bank account was extremely healthy, thanks to Ken’s astute management, and after selling the GTO at a £500 proﬁt the team could afford to buy the UDT cars. But while the 19s might go on winning in ’63, the 24s would not. Although it was BRM, not Lotus, which took the 1962 makes title, it was clear that a monocoque was vital for F1, where the money was. And no one was selling. It was Robinson who said ‘I can make one’. “I made up some cross-sections and took them to a board meeting in Alfred’s dental surgery,” he remembers. “I was sure I could build something that wouldn’t break in half and hurt somebody.” Somehow his conﬁdence and Gregory’s energy won a ‘yes’, and Robinson began work from scratch. Fitted with the BRM V8 and Colotti ’box, the result was a tough if heavy machine, which took Ireland to a brace of fourth places, backed up now by Jim Hall in the 24. Ireland was convinced that their V8s lacked the power of the works entries, which made a lighter car vital, and Robinson obliged with the BRP/64 – thinner-skinned and slimmer. But the team’s funds were draining away fast. For 1964 start money was to be allocated by the new Formula One Constructors Association, comprising Lotus, Cooper, Brabham and BRM. FOCA drivers would get the prime cut, privateers the rest. And only a manufacturer could join. 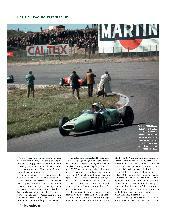 When Robinson proposed the BRP he heard the accusation which still galls him – that it was merely a Lotus 25 copy. One person, though, accepted that BRP were race car builders. Masten Gregory, a frequent BRP pilot in ’61 and ’62, asked if they could build him a pair of cars for the Indy 500, and in April 1965 they appeared at the Brickyard – tougher, broader versions of the F1 car with Ford V8s. Masten was running ﬁfth when the gearbox failed. But while it kept the crew employed a little longer, this would not save BRP. Now ofﬁcially retired, Moss was gradually taking over his own affairs, and though he’d been their Indy pit manager he sidestepped BRP to start his own SMART race team. His father, while always close to Gregory, naturally wished to support his son. Exhausted, pressured by his other businesses, and by now on strained terms with Stirling, this time Gregory did not ﬁght. 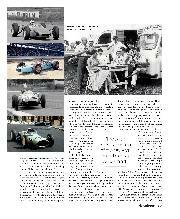 Once the Indy cars left, the doors closed on the British Racing Partnership. Yet both men remain proud of BRP.